Asset Protection Trusts in Cincinnati: Can a Trust Protect Assets? Asset protection is important for many people, particularly those who are in certain lines of work. For example, landlords are especially prone to lawsuits, because people may get injured on their property. Surgeons would fall into this category as well, because they are exposed to malpractice suits. While those who are in these professions are particularly vulnerable, anyone can be sued. It even happens to people who are quite honest and responsible due to circumstances that they could not foresee. When you are planning your estate you may be concerned about asset protection for your own interests, but you may also want to protect assets that you intend to leave to others. Estate planning lawyers in Cincinnati make recommendations to people who want to protect their assets. There are various different ways that you can keep your assets out of harm’s way. The creation of a family limited partnership is often part of the plan. With a family limited partnership you as the creator of the device act as the general partner. Members of your family that you choose are the limited partners. Only the general partner can make decisions with regard to the actions of the partnership. Property that has been conveyed into the partnership would not be the personal property of any of the partners. Therefore, it would be protected if any of the partners was the target of a lawsuit. Limited liability companies are also used for asset protection. 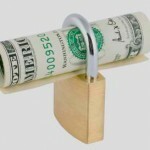 What About Asset Protection Trusts in Cincinnati? There are revocable and irrevocable trusts. Revocable living trusts are very commonly executed by people who want to avoid probate. If you convey assets into a revocable living trust, they would not be protected. This is because you are retaining incidents of ownership. After all, the trust is revocable. You can revoke the trust and do anything you want to do with the assets that you have conveyed into it at any time. Because of this, resources contained in the trust would not be protected. Things are different with irrevocable trusts. With this type of trust you are surrendering incidents of ownership. As a result, certain types of irrevocable trusts are used by those who would like to protect assets from attachment. Earning wealth is challenging. Once you start to reach your goals you are then faced with the challenge of protecting the wealth that you have been able to accumulate. A great deal can be lost if you have not positioned your assets optimally. You would do well to explore asset protection trusts in Cincinnati if you are concerned about wealth preservation. Contact our firm to schedule a consultation if you would like to discuss asset protection planning with a licensed Cincinnati estate planning attorney.